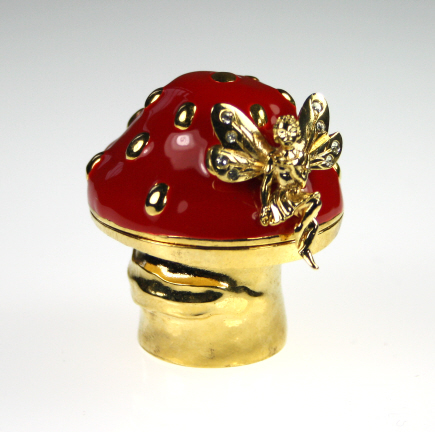 The toadstool pot is finished off with gold coloured pips which contrast nicely with the diamanté in the fairies wings. The fairy is attached with a lapel pin fitting so can be detached and worn separately as a piece of jewellery. Boxed. A miniature green and gold toadstools brooch with cut diamanté detail. This beautiful fairy princess money box will delight any little girl.